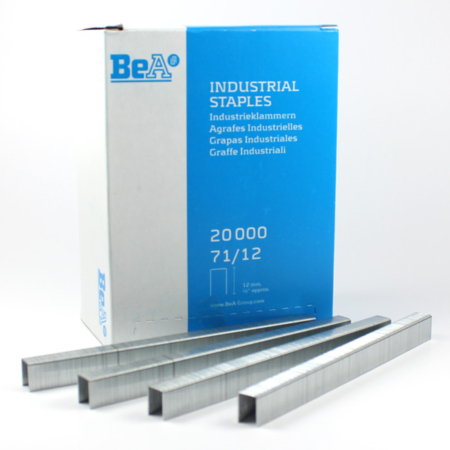 These Hammer Tacker Spotnails staples are used mainly in the carpet trade with a Spotnails hammer tacker tool. We supply many other carpet accessories for the carpet trade, please call our sales team on 01384639990 for more information. 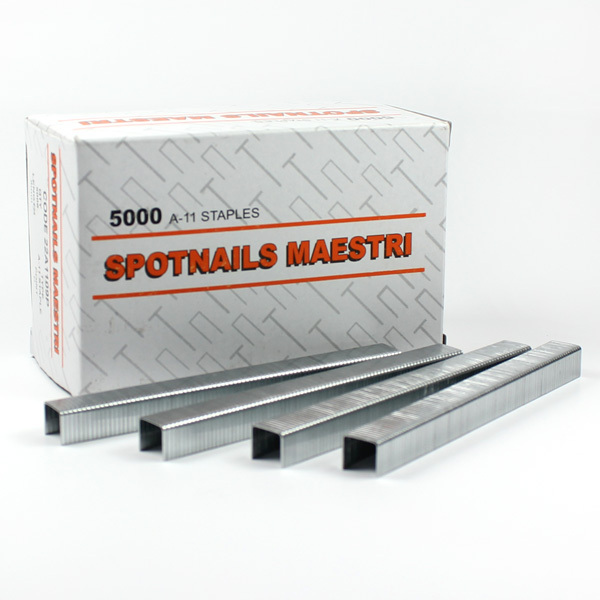 Spotnails/Maestri A11-9mm hammer tacker flooring staples. 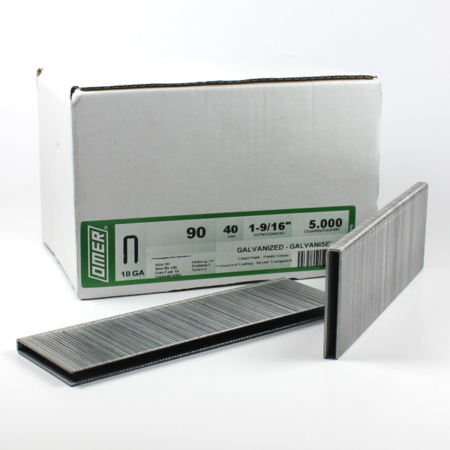 Each box contains 5,000 staples, larger outer cases (100,000) of hammer tacker Spotnails staples are available to purchase from our Trade Counter (also open to the public) If you require a larger case, please contact us for a discounted price! 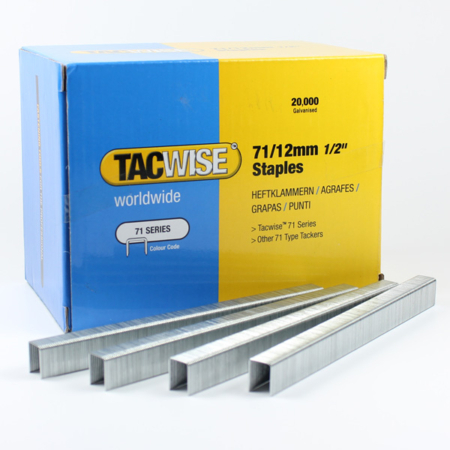 Perfect for use in the following hammer tackers: Tacwise A11, Tacwise A54, Rapid R11, Rapid R211, Arrow HT50, Stanley PHT-150, Stanley PHT-350, Spotnails/Maestri SM11 and all other hammer tackers taking 140 or A11 type staples.